Nikki has always loved animals, from dogs to birds, bunnies, hamsters, and even hermit crabs growing up. As soon as she got her first job out of college and was living on her own she got her first kitten. Then another… Now she has four cats and a bunny. Nikki started walking dogs 5 years ago when one of her personal training clients asked her if she could walk her two dogs on her break between shifts at work. Over the years she grew the business enough to cut down to part time at the gym. Then in August of 2016 she made Nikki’s Pet Services an official LLCed business. In September she was able to start walking and dog sitting full time. 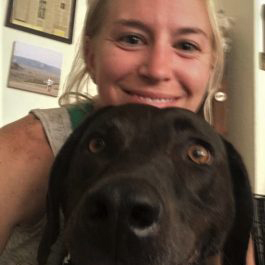 She couldn’t be happier having the opportunity to spend time with animals as her career! Nikki understands that pets are not just pets, but family. That is what her fur babies are to her, and that is how she treats every animal in her care. Bryan is Nikki’s husband, and also a huge animal lover. He grew up with dogs, but instantly became a “cat Dad” to Nikki’s cats when they started dating. Although he is not an official owner or employee of the business, he is a huge help with all the pets that stay at their house. And of course all the dogs love him. He comes home most days on his lunch break to take the dogs that are “vacationing” at their house on a walk. He also helps with all weekend care and is very supportive of Nikki and her business. Garrett has spent most of his life caring for animals. Growing up he had two yellow labs, several cats, and even a squirrel! Currently he lives in River West with his roommate and they each have a cat. 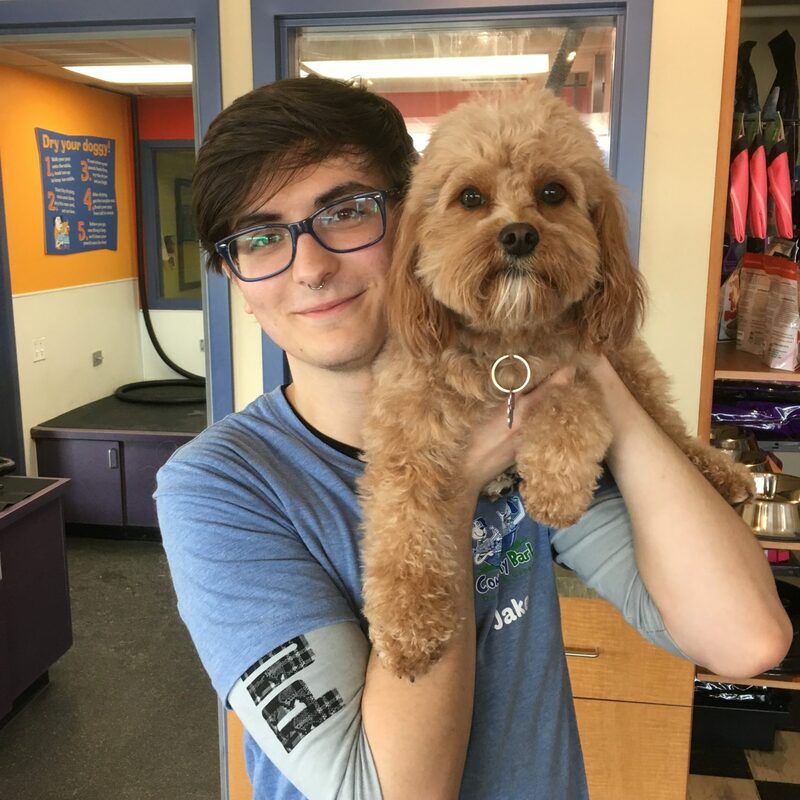 He has worked at Community Bark (Bayview and Bayside locations) for 4 years and has experience in dog bathing and nail trims. If you need these services added, he is your guy! He loves every breed of dog and is happiest when he is spending time with fur babies. 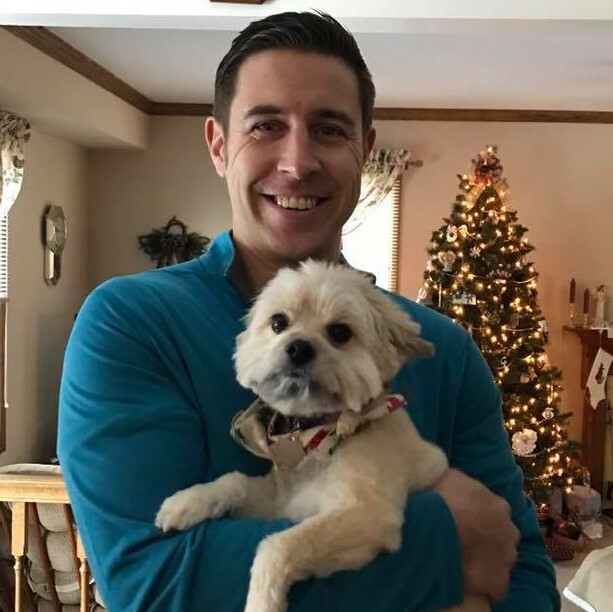 Garrett was hired to join our team in April, 2018 and does dog walking, dog boarding, overnight sitting (owners home), nail trims and cat drop in visits for Nikki’s Pet Services. Jake has worked professionally with animals since 2013 but has loved them for as long as he can remember. He’s grown to appreciate the wide range of personalities for all pets, including his cat Kit Kat. He’s been grooming dogs since 2016 and has experience with breed standard cuts as well as everyday comfort cuts! 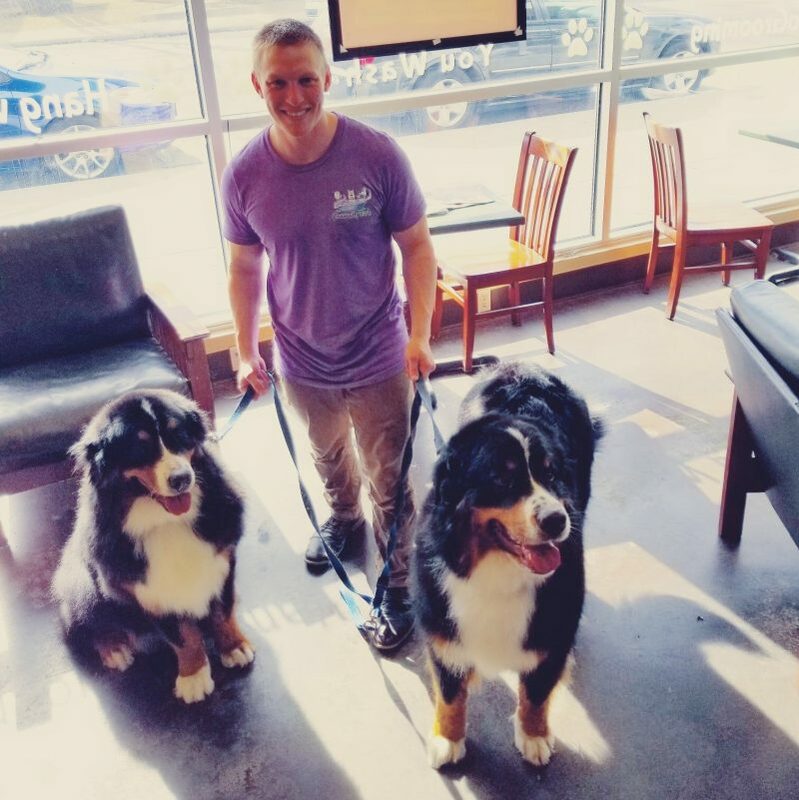 Jake was hired to join our team in May, 2018 and does dog walking, overnight sitting (owners home), drop in visits, as well as our add on services (grooming and bathing) for Nikki’s Pet Services.